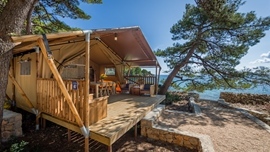 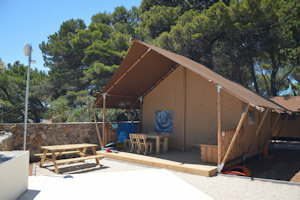 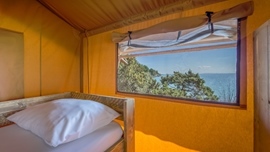 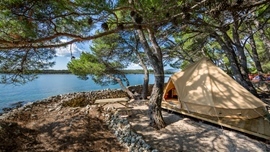 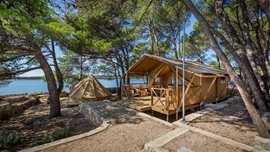 The Baldarin campsite is pleased to offer you luxury glamping tents in a special part of the campsite. 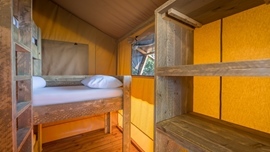 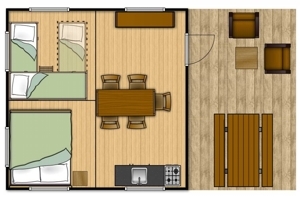 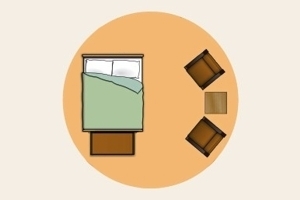 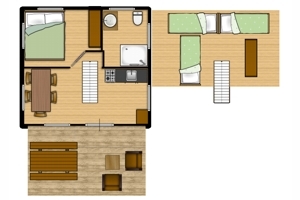 It is the perfect choice for guests who wish to get away from the everyday hustle and bustle. 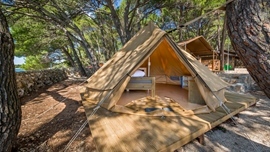 Our luxurious tents provide true comfort and bring a completely new dimension to your vacation in the campsite. 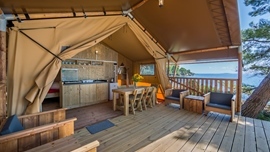 This type of accommodation is in line with the latest European trends and the growing popularity of glamorous camping, so-called "glamping". 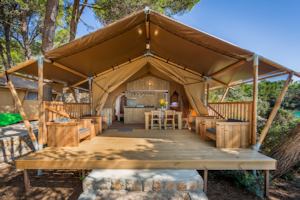 Luxury tents have a simple and comfortable design and meet all the requirements of a modern guest, providing luxurious accommodation in nature in a special part of the campsite. 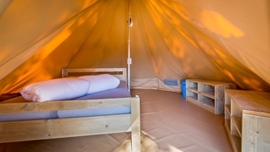 Tents have electric hook-ups and a sanitary facility nearby, while our Glamping Premium tent has its own sanitary facility. 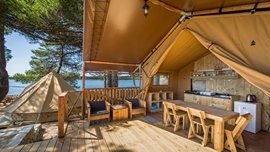 All the tents are located within their own glamping village within the campsite and close to all facilities, providing a relaxing holiday in an oasis of peace and quiet.